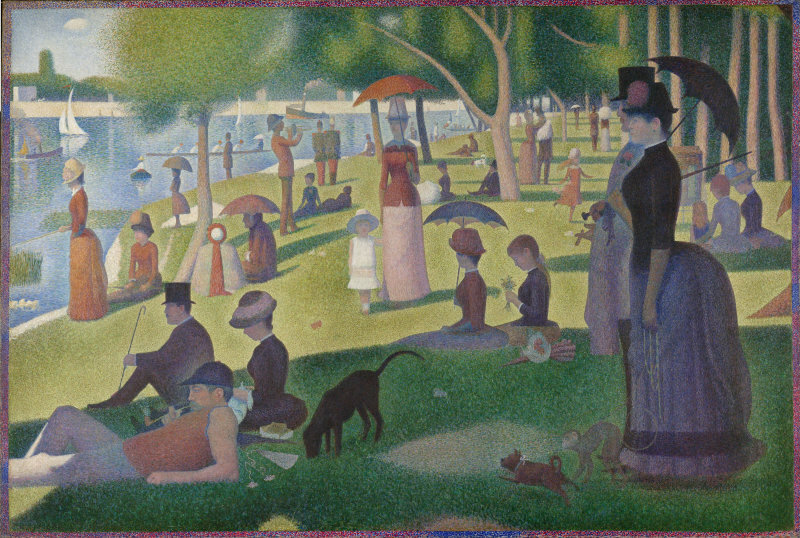 Our painting of the week is Seurat’s largest painting, Sunday Afternoon on the Island of La Grande Jatte. 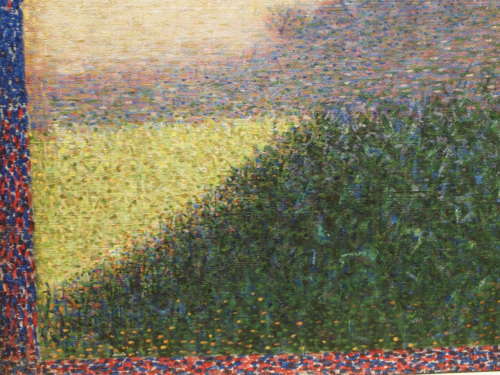 The French artist Georges Seurat is best known for originating the Pointillist method of painting, using small dot-like strokes of color. 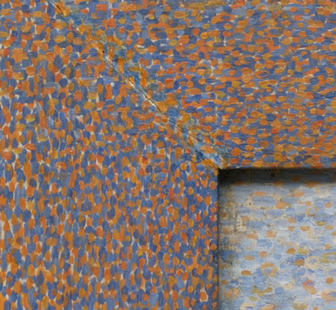 The eye mixes the colors when viewed from a slight distance. 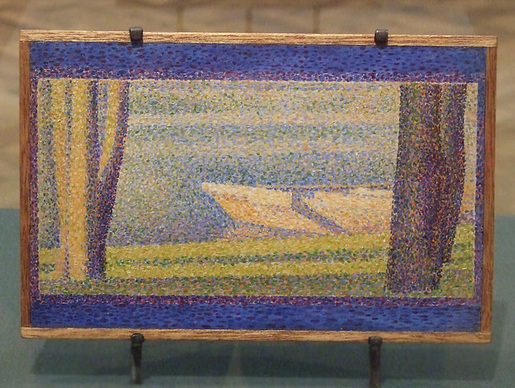 Seurat considered the frame or border of a painting to be very important to the overall effect of his art. 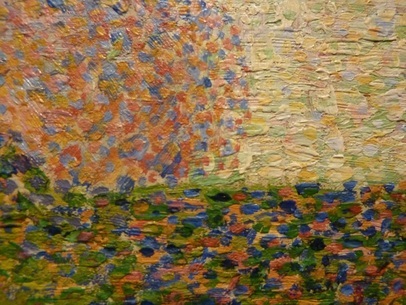 He painted a border of red, orange, and blue dots around the painting, Sunday Afternoon on the Island of Grande Jatte. 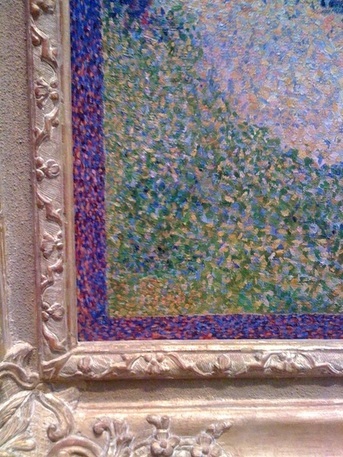 The frames and borders that Seurat painted were intended to compliment his art. This week we will be looking at how art is displayed. The Louvre Museum in Paris, France. Museums are probably the best places to see art. The world’s most visited museum is the Louvre Museum in Paris. The Louvre receives more than 9.26 million visitors in a year, and is also one of the largest with an area of 652,200 square feet. The Louvre was once a palace, and its artworks are displayed in beautiful, ornate rooms and halls. 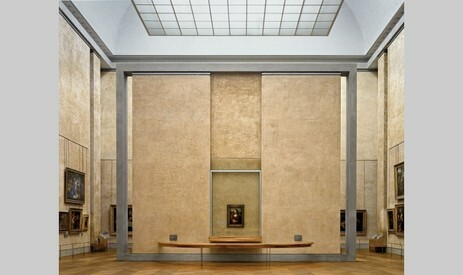 Although the Louvre walls are full of art, only about 8% of its art collection is actually displayed. Art museums don’t have the space to show all of their works. Also, some art that is on public display for a long time can be subject to damage. 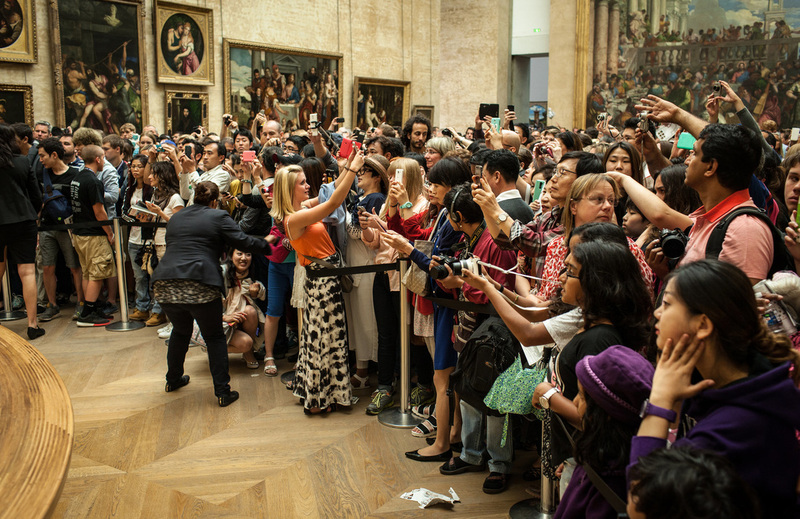 The main dangers for art on display are light, humidity, temperature, and people. People can damage art by simply touching it. Oil from human fingers or even a slight pressure can harm art. People are also a danger because of stealing. Museums use security systems, guards, and set boundaries to protect artworks from people and theft. 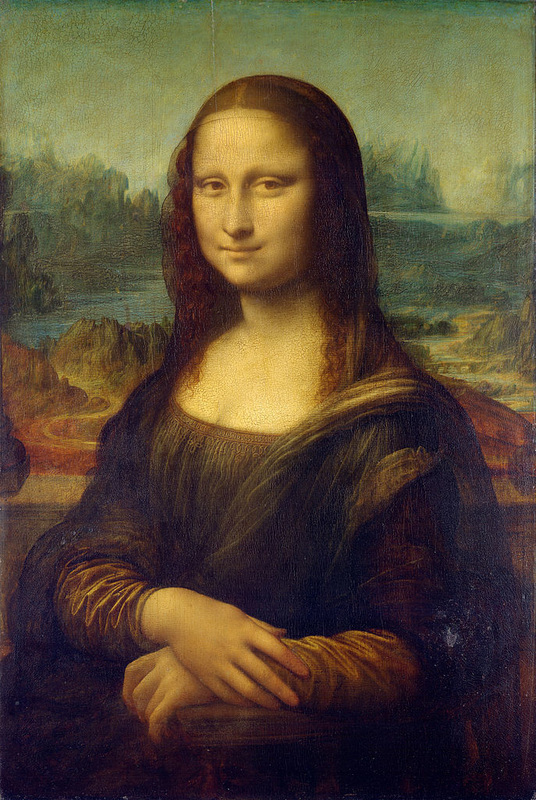 The Mona Lisa is protected behind 1.52-inch-thick glass, and in a case that maintains a permanent temperature of 43 degrees Fahrenheit and 50 percent humidity. A tiny spotlight on a shelf in front of the painting compensates for reflection and brings out colors that were lost in the somber display of the past. Museums store art not on exhibit in special storage facilities where light, humidity, and temperature, are controlled. 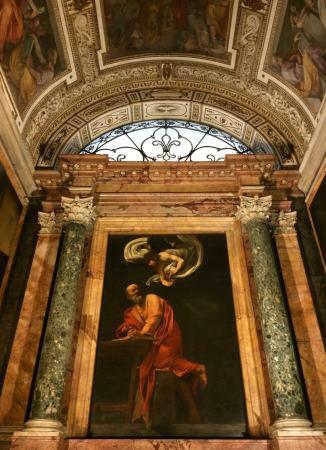 The Louvre is planning a new conservation and storage facility that will house 250,000 works of art and provide space for study and research. A person doesn't have to go to a museum to see art. Much art is displayed in public buildings and settings. The Spire of Dublin is the world's tallest public art. 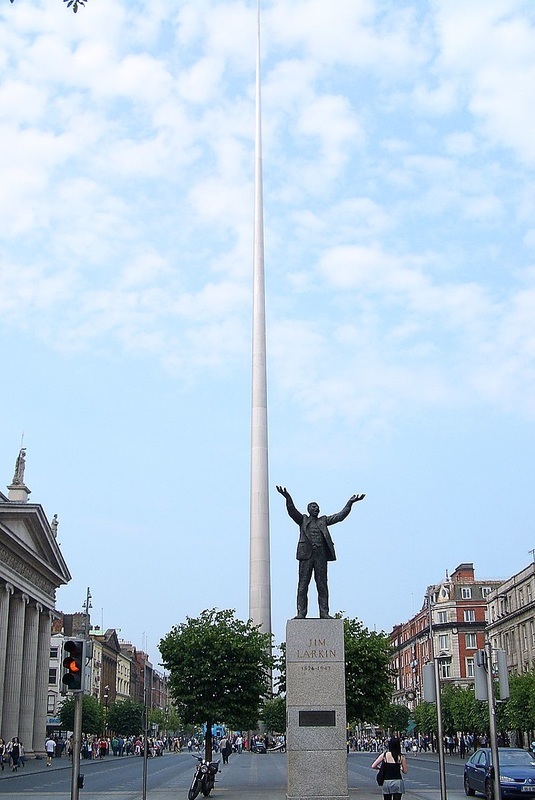 The stainless steel monument is 398 feet tall and is located in Dublin, Ireland. 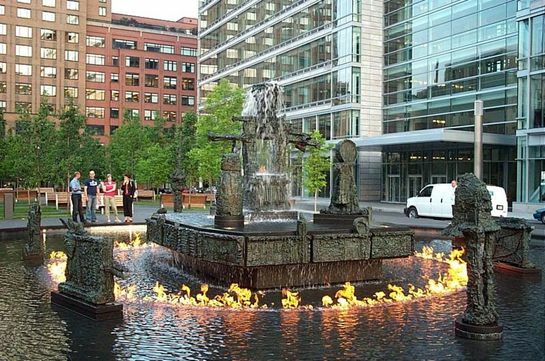 This outdoor public sculpture in Montreal, Canada has fire jets, fog machines, and a fountain. 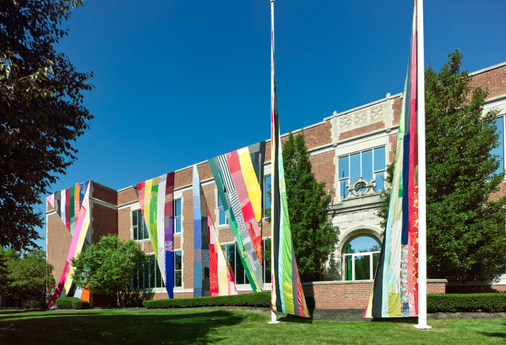 An artist, Amanda Browder, installed this art installation across the exterior of a college building in Buffalo, NY. The art is made of fabric. 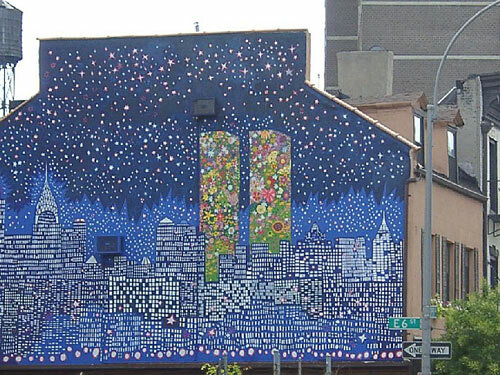 Murals, such as this one in New York City are large displays meant for the public to enjoy. 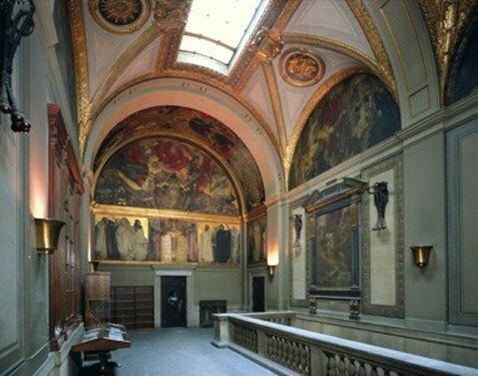 John Singer Sargent was commissioned in 1890 to paint murals inside the Boston Public Library. Libraries and many other public buildings sometimes have special art displayed as murals. 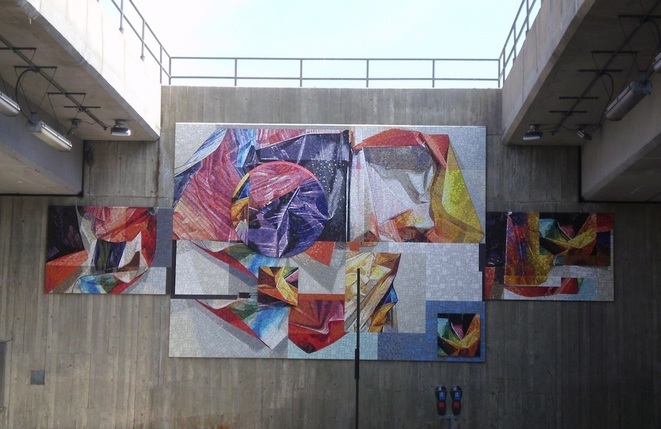 The Washington DC Commission on the Arts and Humanities unveiled this mosaic which is displayed in the public Takoma Metro Rail Station. Art displayed in public places can be viewed by many people. 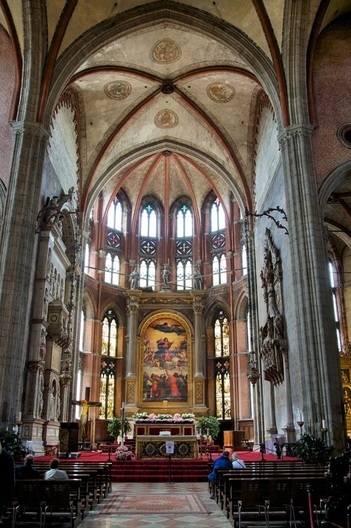 Churches were once showcases for the greatest art in the world. Many still have beautiful art on display. 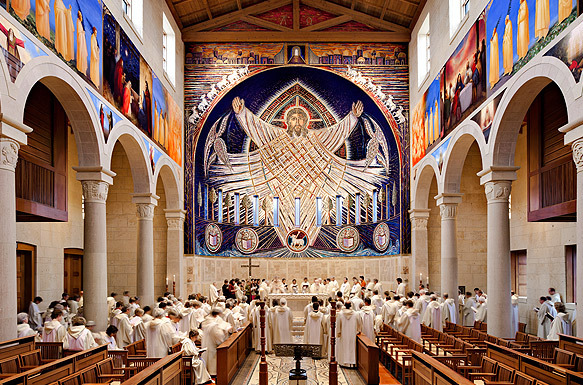 Most church art is traditional and classic, but a few display modern art. 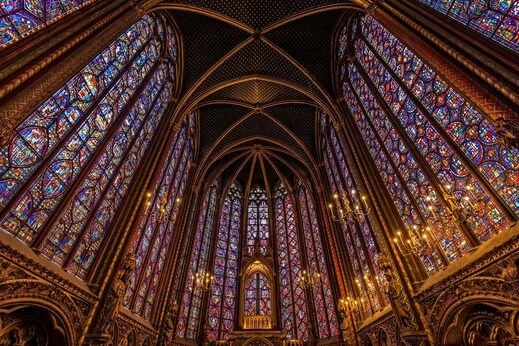 Much of the art displayed in churches is in the form of stained glass windows. 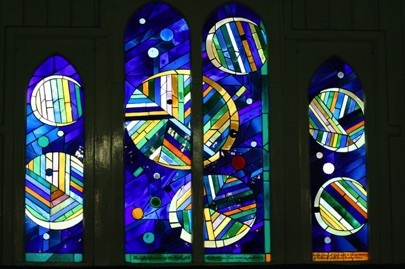 These church windows have a modern style. 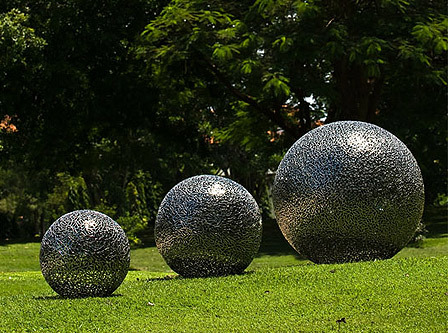 Art, especially statues, are often displayed outside. 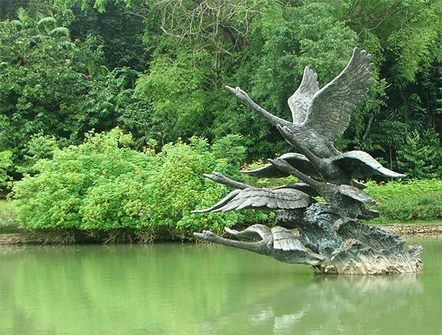 This sculpture is intended to be displayed in the middle of a lake. 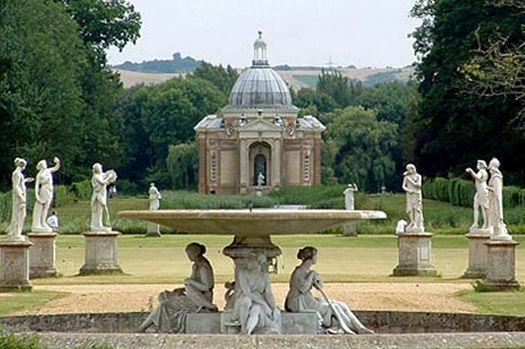 Many gardens are designed to display classical sculptures. 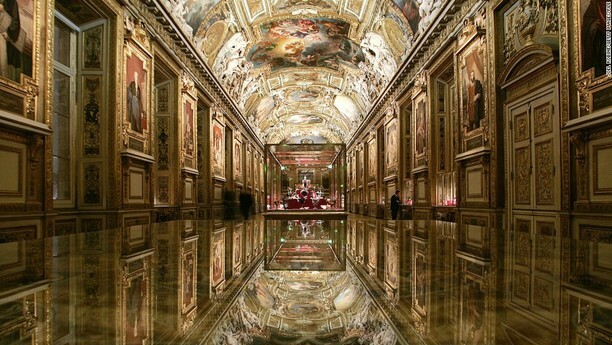 Art can be displayed in museums, galleries, public buildings, churches, gardens, lakes, and just about anywhere. Some art, is displayed with extreme protection and security, and others are displayed where anyone can touch it. Art is someone's creation, and wherever it is displayed, it should be treated with respect. This includes student art on the walls of the hall. You should never touch someone else’s art. 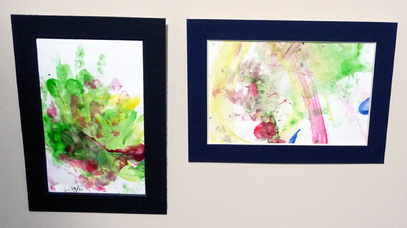 Frames play an important role when displaying art. They protect the art, set it off from its setting, and most of all, show the art to its best advantage. Frames can vary tremendously in style and look. 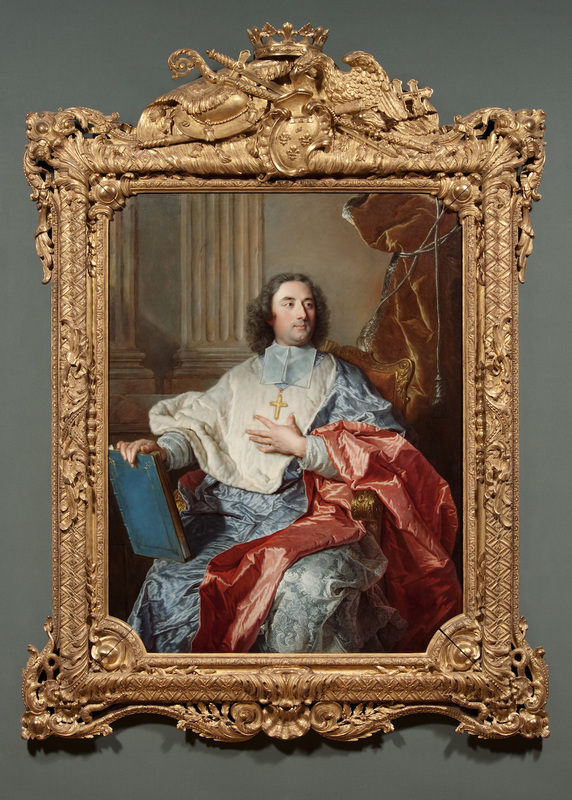 Few paintings in museums have their original frames still on them. Some of the oldest paintings do have their frames because before canvas became popular, most paintings were done on wood panels. 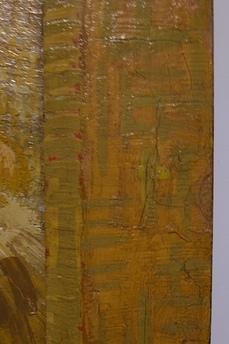 The wood panels included the frame as part of the artwork. This complex frame and painting on wood are from the late 1300's. 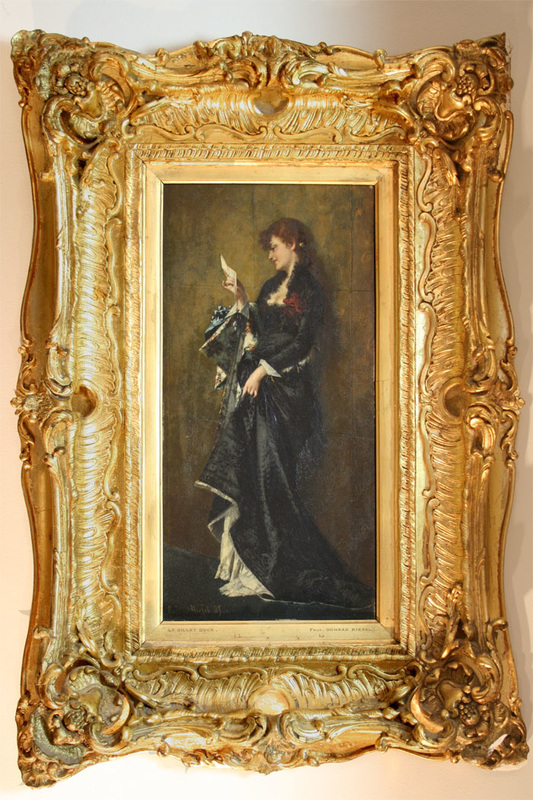 Elaborate gold frames became popular for exhibiting canvas paintings. The Royal Academy of Arts in London held this rule in 1848 regarding frames, "None but gold frames can be admitted." 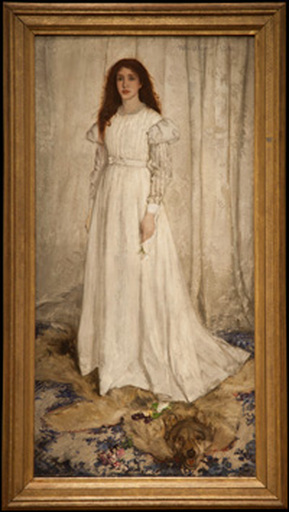 The Impressionists and other painters disliked the gold frames as distracting from their art and preferred plain white frames. 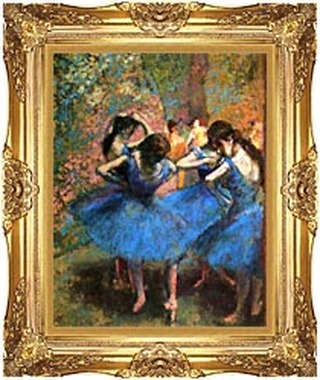 Many of the Impressionist paintings now have gold, ornate frames, however. 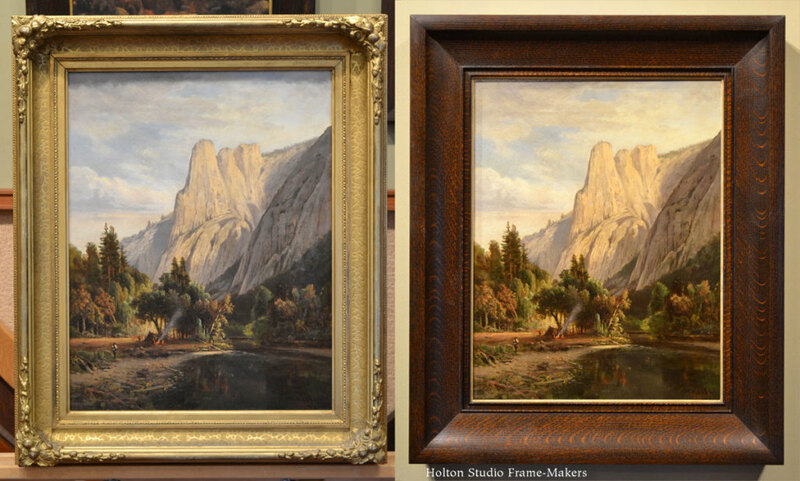 Sometimes it's true that gold frames don't show a painting as favorably as a simple wood one. Van Gogh's frames were important to him, yet only one of his paintings still has its original frame. 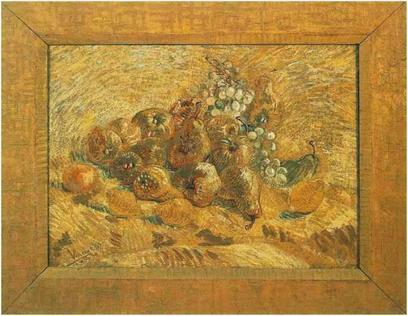 Van Gogh painted the frame with two shades of yellow to set off his painting of fruit. Whistler designed his own frames and even put his signature butterfly on his frames. Many modern artists prefer no frame at all on their art. 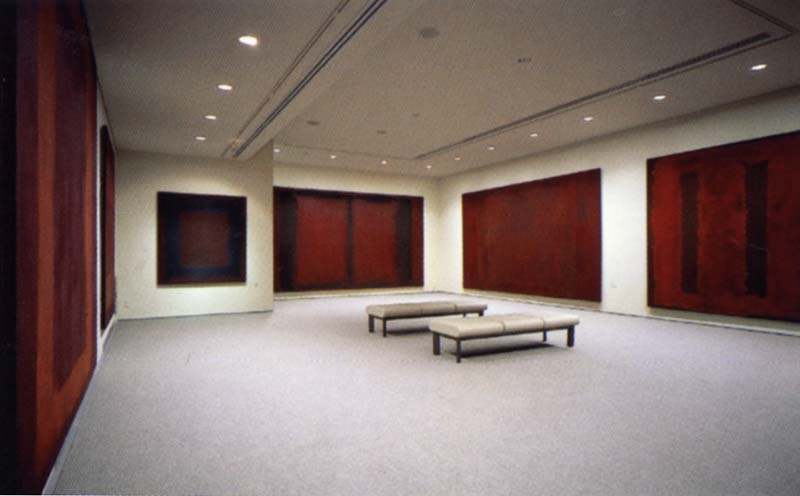 Rothko's Seagram Murals have no frames, but the room itself is designed to show them off. The lighting is muted and the walls are grey instead of the gallery's usual white. Whether your art is surrounded by a simple paper mat or a gold gilded frame, it can show off an artwork in a special way. 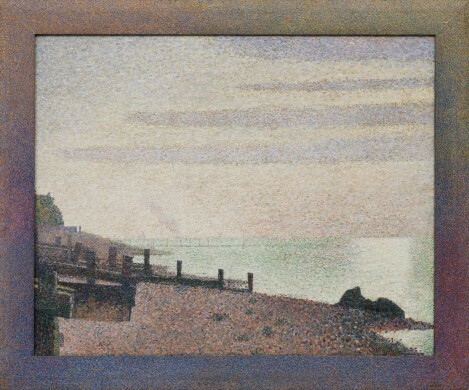 Seurat knew this and spent many extra hours creating his Pointillism borders. Art Exhibition". Wikipedia. N. p., 2016. Web. 12 Apr. 2016. "Art Museum". Wikipedia. N. p., 2016. Web. 8 Apr. 2016. 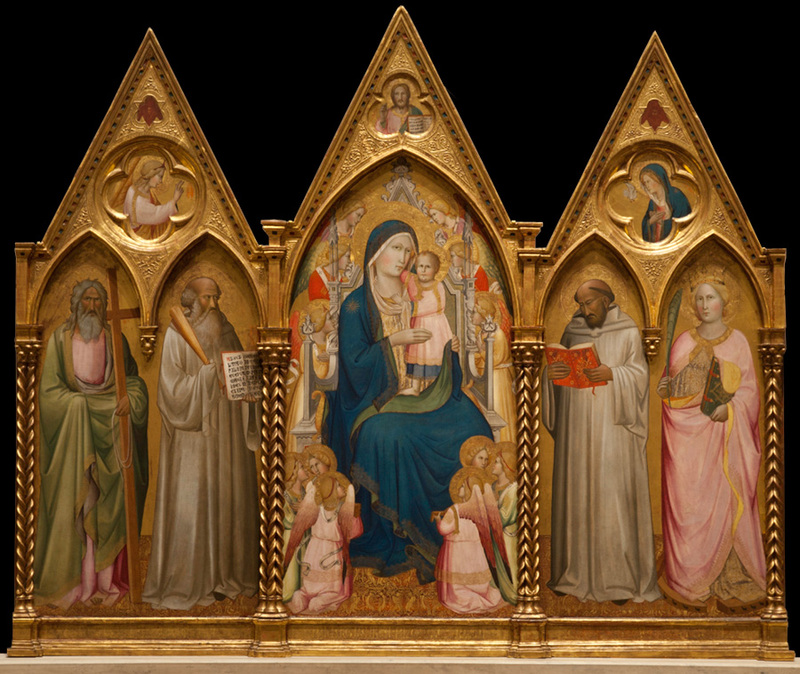 "A Bounty Of Frames In The National Gallery Of Art". Nga.gov. N. p., 2016. Web. 14 Apr. 2016. Bradley, Kimberly. 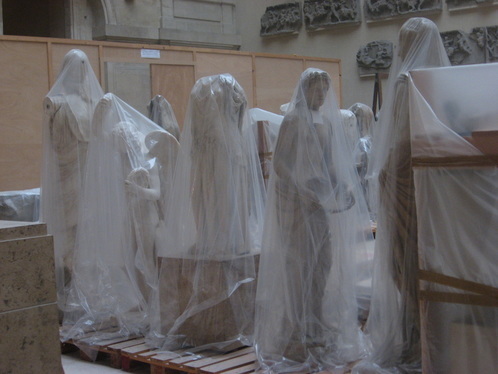 "Why Museums Hide Masterpieces Away". Bbc.com. N. p., 2016. Web. 12 Apr. 2016. Daoust, Phil. "Great Painters Have Always Agonised Over Framing Their Work". the Guardian. N. p., 2003. Web. 14 Apr. 2016. "Fixing A "Very Prevalent Error" | Holton Studio Frame-Makers". Holton Studio Frame-Makers. N. p., 2016. Web. 14 Apr. 2016. 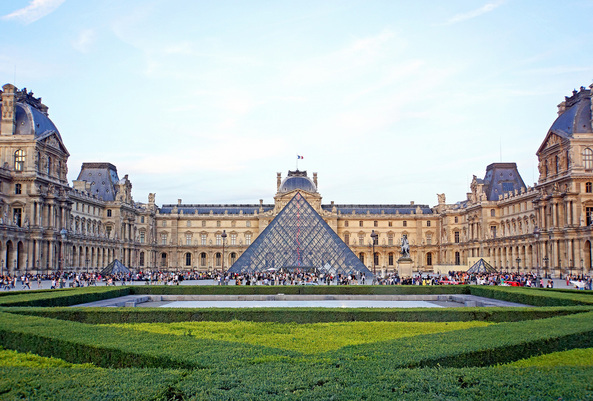 "Rogers Stirk Harbour To Design Conservation Facility For Louvre". Dezeen. N. p., 2015. Web. 12 Apr. 2016. "What Goes Around: The Art Of Framing".Christies.com. N. p., 2015. Web. 14 Apr. 2016. Zane, J. "Letting The Frame Speak For The Artist And The Era". Nytimes.com. N. p., 2015. Web. 14 Apr. 2016.